Harathi, best known as Aarthi, is a Tamil film actress, TV celebrity and host. She has worked in several Tamil films in supporting roles and television serials and events. She is one among the contestants of controversial and popular reality show Bigg Boss, hosted by Kamal Haasan. So here is a look at Harathi Biography, Wiki, Personal Life, Family, Movies and Recent Events. Born on 9 November 1987 in Ooty, Tamil Nadu, India, Aarthi was raised in Ooty where she did her schooling. She got her graduation from Meenakshi College for Women. She has worked in a bunch of films as child artist before she got a huge breakthrough as a comedian in Tamil films. She was one of the participants on standup comedy show ‘Asatha Povathu Yaaru’, aired on Sun TV, which earned her fame and acclaim. She started her media career as a television host and later she fetched several offers from Tamil films. Harathi has appeared in more than 50 films as female comedian who was most sought female comedian in 2012.She has acted with leading actors in Kollywood and some of her notable films are Arul, Villu, Thirupathi, Kitty, Uthama Puthiran and more. Aarthi married fellow comedian Ganesh in a ceremony in Guruvayoor during September 2009, before the pair returned to Chennai for a wedding reception. The pair had earlier been dance partners during the reality dance show, Maanada Mayilada. 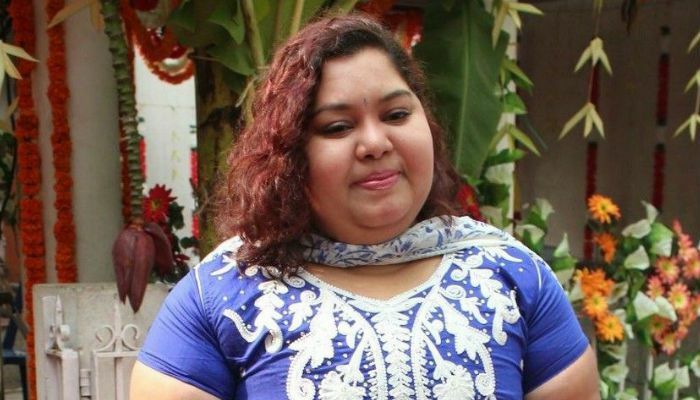 Harathi is one among the 15 contestants in the first season of reality show Bigg Boss, hosted by filmmaker and actor Kamal Haasan. The show airs on Vijay TV.